André Johnson is the Founder and CEO of Los Angeles Hoopz, LLC, a position he has held since its inaugural season in the spring of 2008. His interactive basketball league began with a vision to make the average recreational player experience next to the real thing. All amateurs have hopes of making it big one day, and his basketball league aims at making it possible through this website. Los Angeles Hoopz, LLC is the one and only interactive website in American region designed to enhance the average basketball recreational experience. Using today’s modern technology and his love for the game, amateur basketball will never be the same. 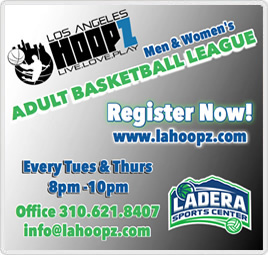 Los Angeles Hoopz, LLC website offers complete online game recaps with photos, box scores, player profiles and biographies, team stats, league leaders, power ranking, individual awards and records, league commentary, analysis, exclusive interview and many more. His quest to build a successful website and career began at the collegiate level academically and professionally. Earning his Bachelor of Science degree in Biology from Concordia College of Moorhead, Minnesota; he learned the importance of exercising both mind and body. 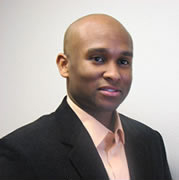 His professional background includes working as a research associate at top scientific facilities; such as the National Genetics Institute and the Diagnostic Products Cooperation of Los Angeles, and the Minntech Corporation of Minnesota. His tenure at each facility has helped explain complex relationships in scientific research for diagnostic purposes under strict Federal Drug Administration (FDA) and Environmental Protection Agency (EPA) guidelines. In addition to being an advocate sport enthusiast, he brings together the complexities of science and nutrition in one website. Demonstrating that there is a unique relationship between diet and exercise, and these are the essential components to a healthy living. In addition, with the proper planning individuals can create a satisfying atmosphere that will become socially, physically, and emotionally rewarding. As explained by the great Lao Tzu, a Chinese Taoist Philosopher, “at the center of your being you have the answer; you know who you are and you know what you want.” Through that he feels family, friends, and associates has helped make Los Angeles Hoopz, LLC possible and he would like to give a separate thank you to each of those involved in his life academically and professionally. Los Angeles Hoopz, LLC has a committee of individuals dedicated to increasing health and wellness through out the California region and world wide. We are teaming up with reputable health organizations and facilities that seek to influence healthcare administration across the United States and everywhere. We feel one way to help their valiant approach is to fund their research efforts necessary to help obtain these objectives. Therefore instances may range from raising awareness, to building hospitals, to finding a cure to fight off a disease. Whatever the obstacle, Los Angeles Hoopz, LLC will give a helping hand by offering a way to get out, get in shape and live life. According to the Pan American Health Organization, “just 30 minutes a day of moderate physical activity can lower or even eliminate the risk of cardiovascular diseases, type-2 diabetes, osteoporosis, and colon and breast cancers". Therefore, our approach to increasing health and wellness is to offer a unique basketball league to individuals on all athletic levels. Our events are tailored to be informational, friendly, encouraging, and certain providing a favorable experience for all individuals interested in acts of patronage. Members and guests will both enjoy the benefits of raising community awareness and building competitive relationships. We offer a user friendly website, that has the professional basketball idea but with a philanthropy approach for research in health and wellness within the California area and surrounding communities. Our mission is to help increase community awareness in health and fitness, by influencing all men and women to participate in physical activity that offers a rewarding experience though out one's lifespan. Live. Love. Play.